Queensbury residents will be consulted over controversial plans to consider two parks as possible sites for crematoria. The decision was made after councillors, acting as trustees of the parks, decided it would be unfair to move ahead with the proposals without speaking to the people who the parks were intended for. 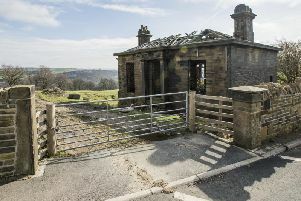 Earlier this month it was revealed that Bradford Council was planning to include Littlemoor Park, Queensbury, and Northcliffe Park, Shipley, on a list of five possible sites to build two new crematoria, to replace existing, ageing facilities at Nab Wood and Scholemoor. The other three sites are privately owned, and the council says it would prefer to build on one of these private sites. Both parks are held in charitable trusts, to be used solely for the benefit of the people of the respective areas. The council is sole trustee for both parks, and on Thursday members of its Regulatory and Appeals Committee were asked to sit as trustees to decide whether they should ask the Charity Commission to allow the parks to be considered as crematoria sites. Although members had been asked to move ahead with the plans, they instead voted to investigate how any sale of part of the park would benefit the people of Queensbury and Shipley. They will now ask for more information about how much money would be raised from the possible sale of land from the parks – around 20 per cent of Littlemoor and between five and 10 per cent of Northcliffe. The residents of these areas will also be asked their opinion on what they would want the money spent on in their area. For both parks to be included in the council’s list of possible sites, the Charity Commission would have to give the authority permission to proceed. Councillor Simon Cooke (Con, Bingley Rural) said the report before them had not made clear how going ahead with the proposals would benefit the people of Queensbury and Shipley. He said: “I can’t go ahead with this unless that point is made clear. At the moment it looks like it is being done more for the convenience of Bradford Council. Councillor Riaz Ahmed (Lib Dem, Bradford Moor) raised concerns that the people of the towns, who the parks were meant to benefit, had been “bypassed” in the decision. The committee voted to start a consultation in Queensbury to gather people’s opinions on selling part of Littlemoor park and using the money from the sale to benefit the village. They made a similar vote for Northcliffe Park, to consult in Shipley and Heaton wards.